Joanna M. Foard, J.D., LL.M. She earned her Juris Doctor Degree from Florida Coastal School of Law in Jacksonville, Florida in 2012. After completing her J.D., she furthered her legal education obtaining a Master of Laws (LL.M.) in International and Comparative Law, in Washington, D.C., at the Columbus School of Law in 2013. Joanna M. Foard spent her childhood and teen years in Lawton, Oklahoma, and obtained her Bachelor’s Degree in Philosophy and pre-law from the Catholic University of America in Washington, D.C.
She knew from a young age that she wanted to help others, and decided that becoming an attorney was a great way to do so. During junior high school, high school, and law school, Joanna participated in multiple volunteer organizations that provided legal assistance to those in the community. Joanna earned her Juris Doctor Degree from Florida Coastal School of Law in Jacksonville, Florida in 2012. After completing her J.D., she furthered her legal education obtaining a Master of Laws (LL.M.) in International and Comparative Law, in Washington, D.C., at the Columbus School of Law in 2013. Joanna knew from a young age that she wanted to help others, and decided that becoming an attorney was a great way to do so. During junior high school, high school, and law school, Joanna participated in multiple volunteer organizations that provided legal assistance to those in the community. It is during those years that she found her true passion for the law and her call to help others. While attending law school, Joanna was selected to serve as a teaching assistant for Civil Procedure, for two separate semesters, and Professional Responsibility for one semester. 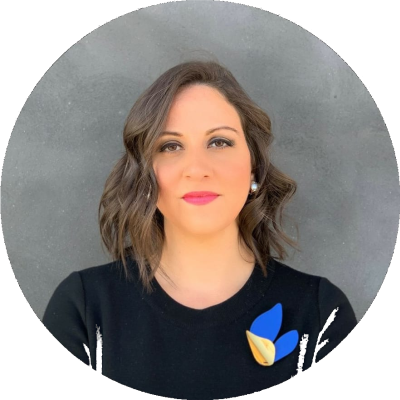 Joanna became very involved with the Academic Success program and bar preparation courses at her school and was selected to grade practice examinations for Barbri. She spent one semester of college studying abroad in Western Australia, and one semester of law school studying abroad in eight different European countries. Joanna is sensitive to the emotional and financial strains associated with legal issues, and prides herself on being compassionate and reliable in order to achieve the best result possible for her clients. Her areas of practice in family law include: Divorce, Equitable Distribution of Property Agreements, Child Support, Alimony, Prenuptial and Postnuptial Agreements, Custody, Parenting Plans/Timesharing Schedules, Modification of child support orders and/or alimony, Enforcement actions, Relocation actions, and Paternity actions.